The U.S. is dealing with a major drug crisis. In fact, experts refer to it as an epidemic. 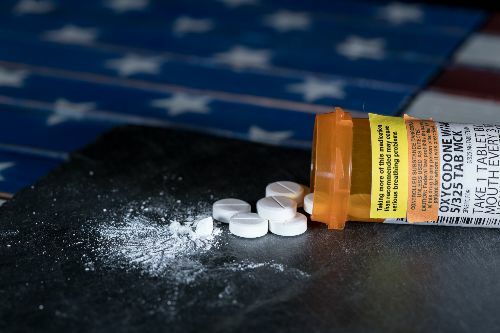 You’ve likely heard of it – the opioid epidemic. According to the CDC, on average, 130 people in the U.S. die every day from opioid overdose. The reason: opioids are highly addictive. The people who take these medications do so because they’re in pain. But that doesn’t mean their only option is opioids. Fortunately, there are some pain relief alternatives that can significantly reduce pain without being addictive. A lot of people suffer from pain because of some sort of trauma, like a car accident, fall, or injury at work. What options do these people have when it comes to natural pain relief remedies that actually work? Due to the staggering epidemic in this country, healthcare professionals are re-thinking their approach to pain management. In doing so, many are now recognizing the value of pain relief alternatives, like chiropractic treatment. This form of treatment is not just safer than opioid drugs. In some cases, it can be more effective at reducing pain and improving quality of life. Whenever you experience any sort of trauma to your body, it can easily knock everything out of alignment. When your neck and/or spine are misaligned, there’s more pressure on your joints, muscles, tendons, and ligaments throughout the body. Therefore, you can end up with pain throughout your body – not just in your back. With regular adjustments, though, your chiropractor can keep your spine in good working order. Massage therapy can also be an essential part of chiropractic care. It can help to reduce inflammation, promote better circulation, and relax the muscles. Do you struggle with chronic pain? If so, discuss natural pain relief options with your doctor and Vancouver, WA chiropractor. Ask them to help you find ways to reduce or eliminate your pain through non-addictive means. Taking the time to have this conversation with your healthcare providers is one way to protect your health now and down the road. In fact, it could even save your life. Do you suffer from chronic pain? Contact our office to find out how our natural pain relief options, including chiropractic and massage therapy, can help. Call us at 360-253-4285 to schedule an appointment.